It's the most wonderful time of the year, especially in Banff National Park. 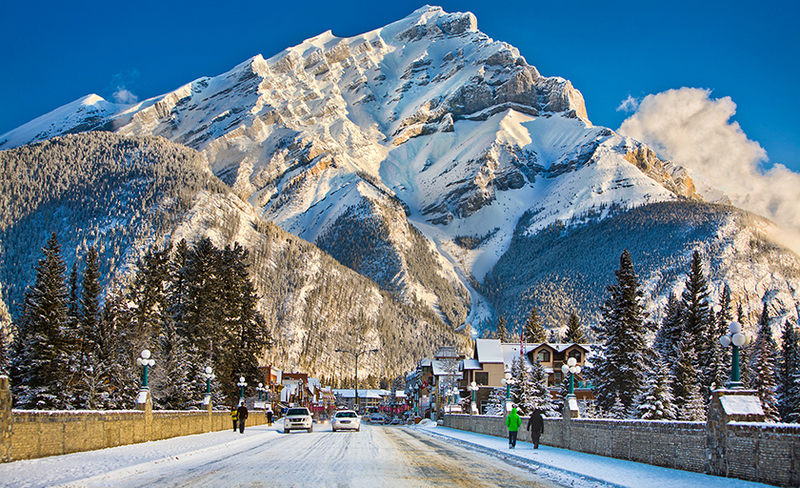 Christmas is the most wonderful time of the year, especially in Canada’s Banff National Park. Though well-known for its Instagrammable lakes and trails in the warmer months, winter takes Banff and Lake Louise to a whole new level. And while it would be easy to simply hibernate like the grizzlies, there’s heaps of amazing stuff to see and do during the festive season. From snowshoeing and ice-canyon walking to wildlife tours and even horse-drawn sleigh rides, Banff National Park is the perfect place to tick a bunch of – ahem – cool stuff off your bucket list. Not convinced? Here are five things we think make it the quintessential Christmas escape. 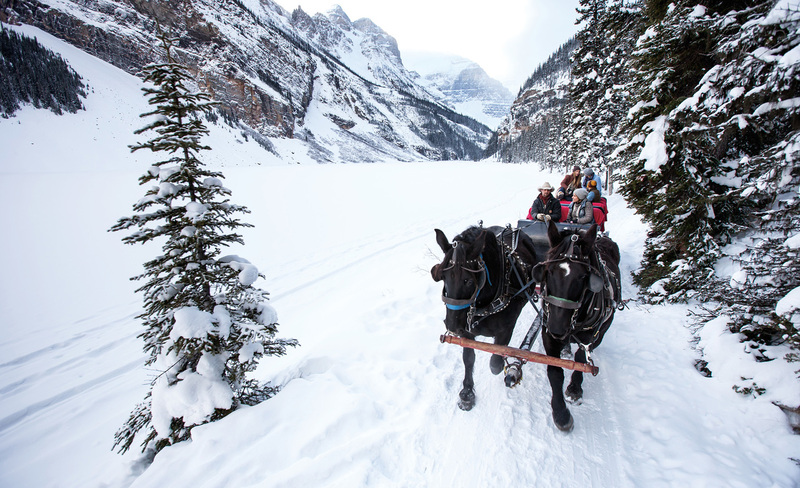 We’ve all sung the carol a thousand times, but in Banff and Lake Louise you really can go dashing through the snow on a one (or possibly two) horse open sleigh! Horse-drawn sleigh rides are a long-held tradition in these parts, with everyone getting in on the fun. If you’ve always wanted the classic white Christmas experience, this is it! Climb aboard the horse-drawn sleigh, pull the blanket (or your loved ones) in close for warmth, and then set off through the snowy landscape, gazing up at the snow-covered peaks as you go. Forget skating to Mariah Carey at an indoor ice rink, Banff National Park offers the real deal – frozen lakes transformed into impressive natural skating rinks. Lake Louise has the best maintained and safest rinks in the park, with the backdrop of Victoria Glacier only adding to its magic. There are several other natural skating rinks worth checking out, too, like Two Jack Lake, and Lake Minnewanka (known for its frozen bubbles). However, these aren’t maintained, so you should visit with someone who knows and understands the conditions. Ice skating is usually possible in Banff from mid-December to mid-March, depending on the weather conditions. 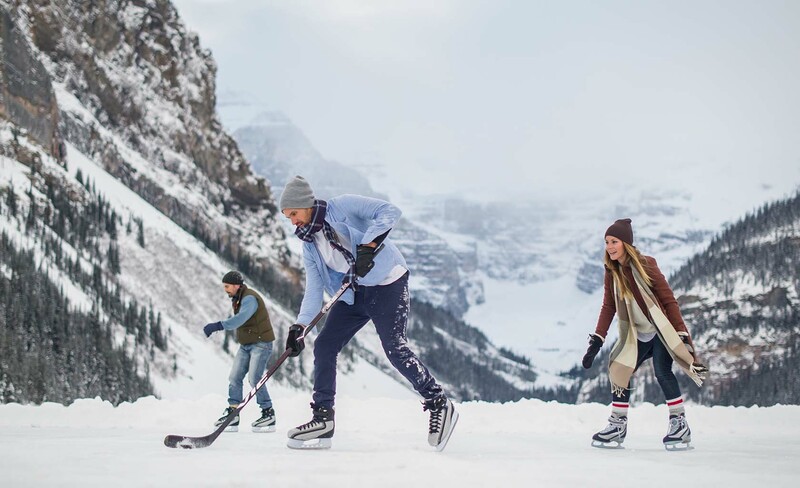 You’ll find ice skates available for hire in Banff or Lake Louise, with providers only too happy to give a few tips on how to skate like a pro (or, at the very least, fake it for photos). While it’s nice to view the snow from a warm hotel room, nothing beats getting out and experiencing it for yourself. After all, that snowman’s not going to build itself. To save your muscles and stop you sinking into the snow, snowshoes are worth giving a try. Old-school snowshoes essentially look like tennis rackets strapped to your feet, but the modern ones are a lot more high-tech – plus, they’re awesome! 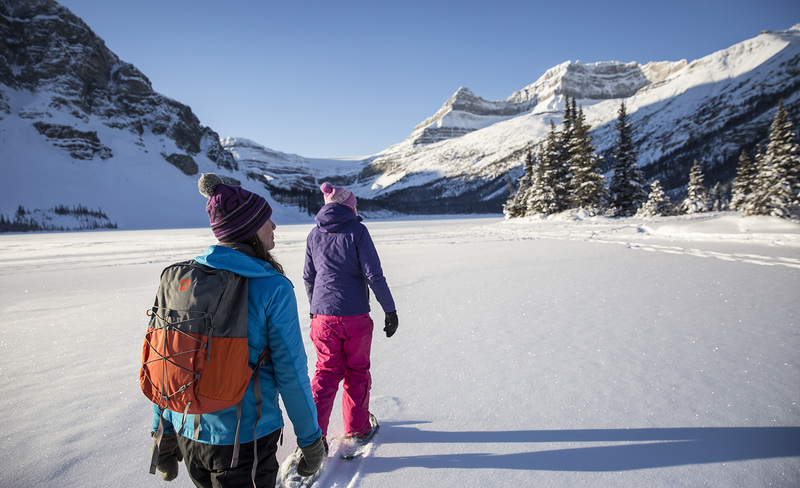 Make your way over to Marble Canyon or visit nearby resorts, Banff Sunshine Ski Resort and Lake Louise Ski Resort, for a guided tour, taking in some of the beautiful hiking trails within the park. While you could be forgiven for thinking that all of Banff National Park’s incredible wildlife takes shelter for the winter, but rest assured there’s plenty to see when you visit for the festive season. While some of the wildlife certainly does take a couple of months for a well-earned siesta, there is still plenty to see, including moose, elk, birds of prey, and, if you’re lucky, wolves. You can seek out some of these beautiful creatures on a guided tour, or perhaps keep your eyes peeled for deer and elk roaming the streets in town. 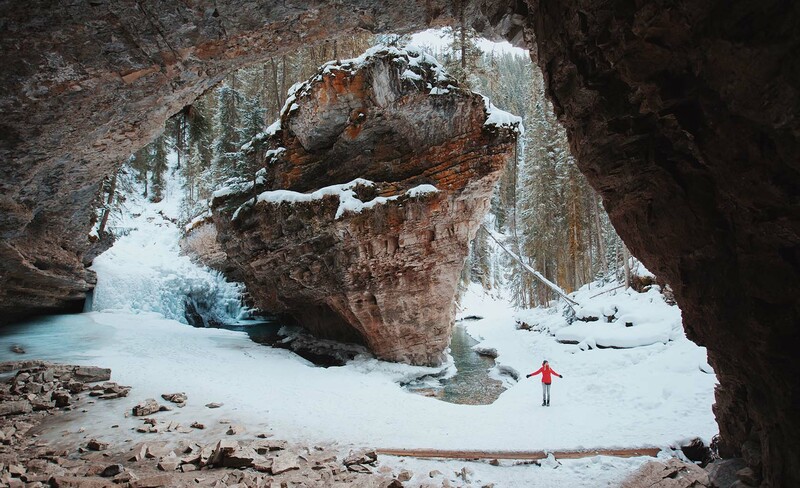 For an out-of-the-box experience that takes you into the frozen wilds and right to where the wildlife roams, try the Johnston Canyon icewalk. Water cascades through this narrow canyon in summer, but in winter the falls freeze into an array of incredible ice sculptures. A series of steel walkways allows you to explore the canyon with views of the gorge below. The fun doesn’t have to end once the jolly man has delivered his presents. 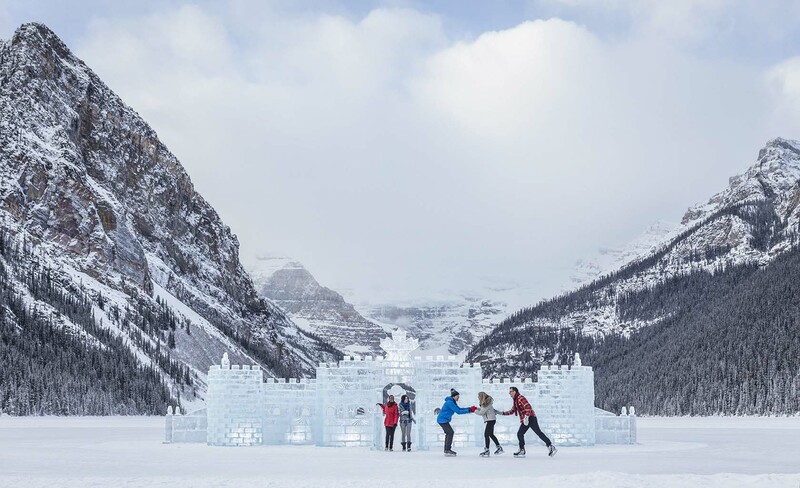 The spirit of Christmas continues into new year with Ice Magic Festival, an iconic annual event on the shores of Lake Louise from January 17 to 27 in 2019. It’s a great reason to extend your stay! 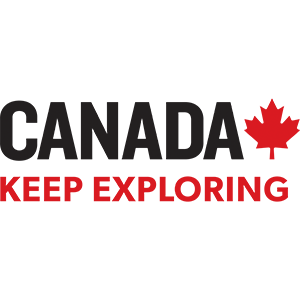 The highlight of the event is the ice-carving competition, which sees talented carvers travel from all over the world unleash their talent and imagination on raw blocks of ice. From ice castles to cowboys riding horses and even bears climbing trees – all made of ice – it’s a truly magical sight. The best time to experience the carvings is at night, when they’re lit up and the mighty mountain peaks create faint silhouettes in the background. Christmas in Canada‘s Banff National Park is all your holiday dreams rolled into one. Carollers singing on the streets, shopfronts decorated to the north pole and back, an infectious cheer that greets you from the moment you step outside your door… The only thing that would make it better is you.